Compassionate, competent, cool…. Dr. Bill D’Angelo has the experience to make even the most nervous patients feel at home. With a wide range of solutions available, Dr. Bill feels that the best treatment approach for every patient is different and based on their individual needs. He listens to and works with his patients to determine the most effective, minimally invasive treatment plan to achieve optimal results. He offers his patients of all ages general dental, implant, surgery and restorative care. His excitement about the dental profession and eagerness to help others is seen in each patient interaction, whether they be 4 years old or 94. A third generation dentist, Dr. Bill graduated with honors from both SUNY Plattsburgh and University at Buffalo School of Dental Medicine. He then worked as an on staff resident in dentistry at the University of Washington Medical Center in Seattle, WA, receiving advanced training in oral surgery, anesthesia and sedation, and restorative dentistry. He moved back to Buffalo in July 2012, and joined the Southtowns Dental Services team, bringing fresh new ideas learned on the west coast.. 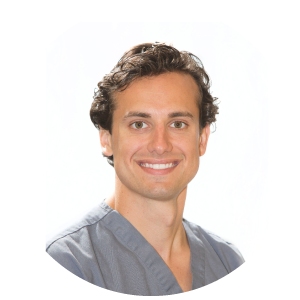 He is a member of the American Dental Association, Academy of General Dentistry, Flying Dentists Association, and has hundreds of hours of continuing education, focusing on surgery and implants, as member of dental and implant study clubs. Dr. Bill is also a pilot with both Instrument and Seaplane ratings. He is a volunteer pilot for Wings Flights of Hope, providing free flights to patients that need transport to medical facilities across the state and country. He has flown to places within our country and beyond to provide free dental care for those living in needy areas. Dr. Bill’s other interests include hiking, skiing, water sports and triathlons. He is married and lives in downtown Buffalo.